Alex Hughes: I don't have baggage. I have haulage. I was able to see this as part of the recent Autism Cymru conference, and can honestly say that this is one of the best films I have seen for years. It somehow maintains a balance between the drama, the need to establish Weaver's character without mawkishness or making her a complete freak, and a rite of passage for Rickman's character. There was no point at which I doubted the authenticity of the character's experiences. It does help to know something about autism (I am a parent of someone with ASD and parts of this were so true it hurt) but not compulsory, and I would heartily recommend it to dispel some myths! I can't really tell you more without giving it all away - go and see it! 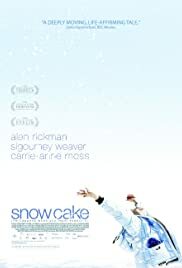 Snow Cake is both poignant and rib-achingly funny in parts. 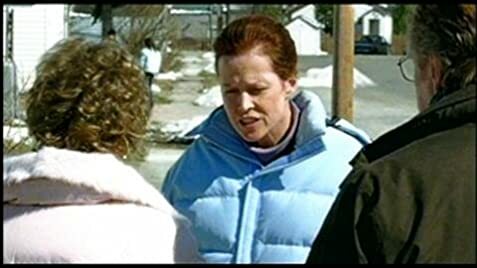 We were also fortunate to meet the writer, the director and the autistic woman who "coached" Sigourney Weaver. Absolutely fascinating. I can't wait for this to be released and will be buying the DVD for friends and family. 63 of 67 people found this review helpful. Was this review helpful to you?